Don't worry about turning 50!!! As proven in these pictures, The Jolly Greens* show you can do it with fun, grace and class. Paula Klingensmith (Brightbill), Carol Baker (Dawson) and Val Lyng (Eitelman) were the best of friends in Ankara. 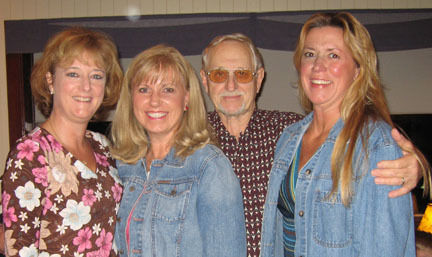 They have remained close friends through the years. 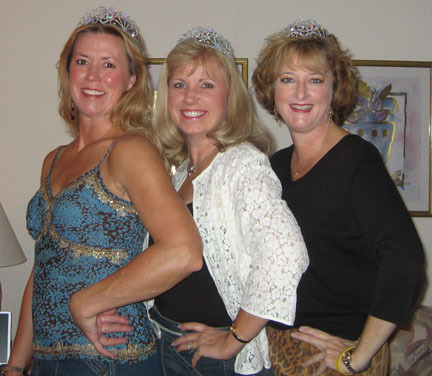 Their birthdays are within 3 months of one another and they decided to meet in Orlando for a "long weekend of girl fun" to celebrate the big five-oh because they were not worried about it. * The Jolly Greens - a group of beautiful women from the class of 1973. As you may have guessed, height is a requirement. You must be at least 5'10" to be a Jolly Green. Val provided the tiaras so the Jolly Greens could be Turkish empresses for the weekend. 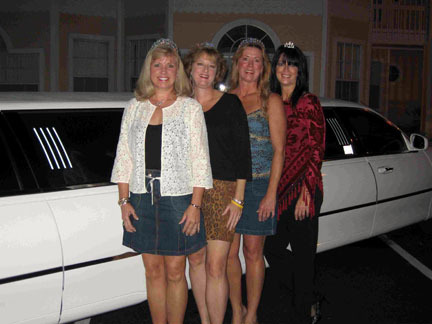 The Empresses standing in front of their stretch limo. Only the best for an Empress! 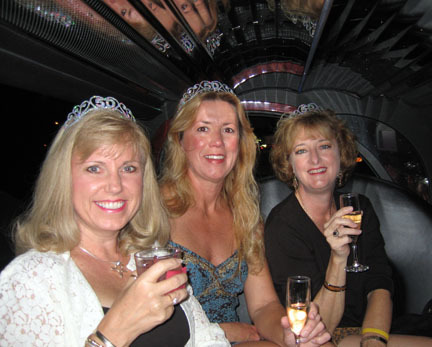 Ahh, drinks in the limo.